Going into the game, expectations were high with the prospect of a debut for Lucas Torreira and a return for the Albanian Eagle. 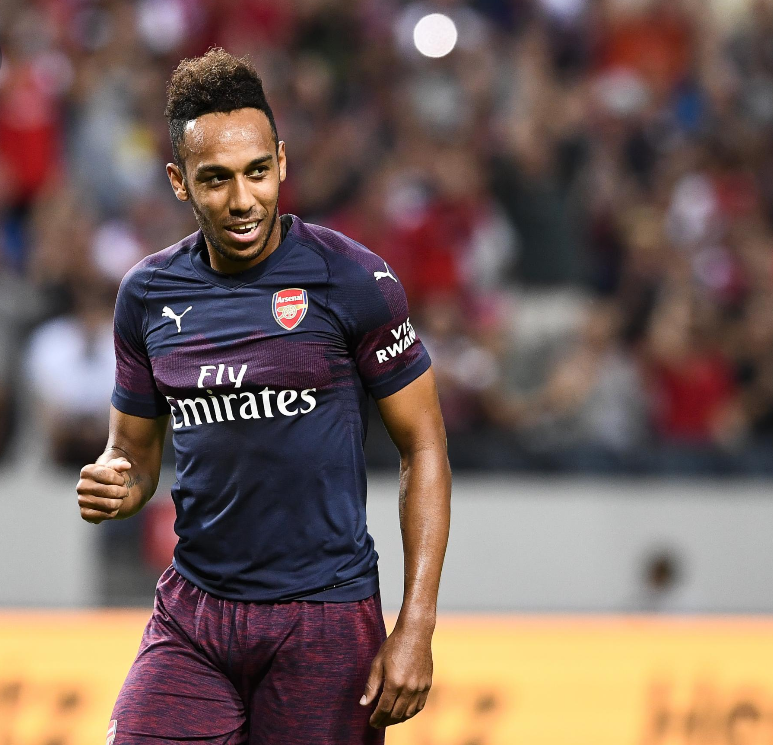 Impressions after the match were dominated by the impact second half substitute Matteo Guendouzi had on the look of the Arsenal team. The match began as if it was a training scenario, Arsenal having virtually 100% possession and Lazio making thousands of small shuttle runs denying space and chances. Laca was on target from a fine volley; the dinked pass from Lichtsteiner a real treat and in complete contrast to his ebullient roughhousing. I really enjoyed watching an old school defender employing the full range of tricks of his craft. Stephan Lichtsteiner won’t be bullied this season, that’s for sure. It would have been very interesting to see how he would have coped with Hudson Odoi the other night. I’d imagine the chav may have found himself flying into the first couple of rows of seats at some point! Reiss Nelson was sharp to follow up Alex Iwobi’s effort off the post giving the boys in the “peacoat navy” (seriously ) shirts a deserved lead. Lazio finally woke up, finished the half stronger and were, perhaps, a little unlucky not to equalise with both a chip on to the bar and a clear header. Auba scored after fine work from Elneny and Lacazette on the edge of the Lazio area. The intensity of the game dropped after numerous substitutions and Lazio clearly lacked the sharpness a tougher preseason might have given them. The final 20 minutes was my favourite part of the game with all the big hitters, Mesut, Micki, Auba, ESR and Matteo on the pitch at the same time. 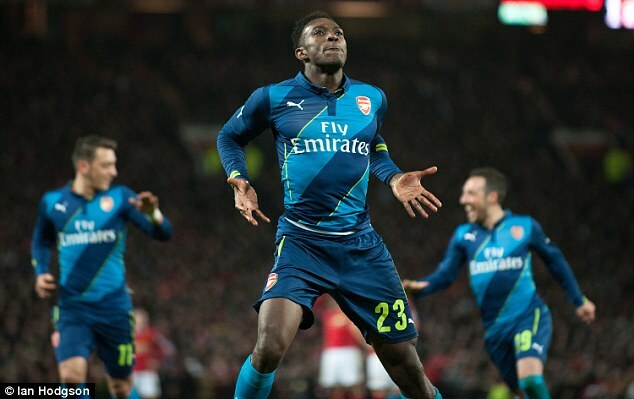 Arsenal became a purring Rolls Royce coasting to victory. Whether the Premier League will allow us the luxury of seeing so much skill and pure talent on the pitch at the same time is another matter entirely. Guendouzi was majestic, playing with the unabashed confidence of youth. Mesut loved his cameo and the highlight came from Micki with a sublime turn and nutmeg. Calum Chambers played particularly well in the first half. He really seems to be maturing into a fine defender and his passing from the back adds a level of calm we didn’t see against the chavs on Wednesday. 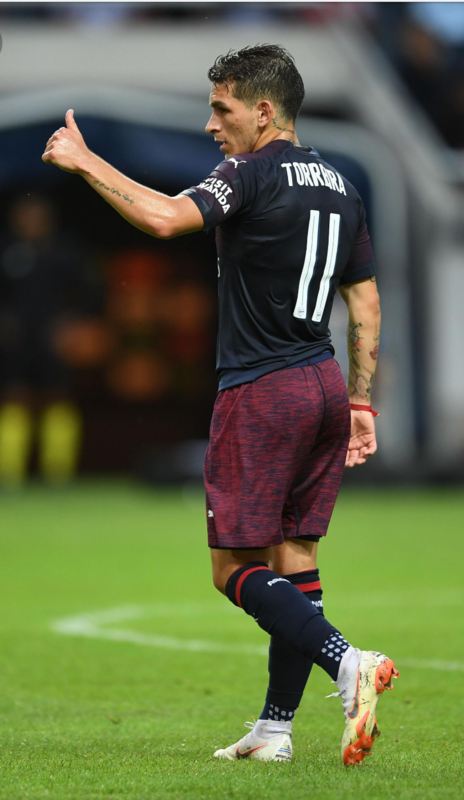 Lucas Torreira’s debut was pretty quiet. His rapid shifting of the ball forwards was very pleasing to watch. More to come from the Uruguayan undoubtedly. All in all a very decent, if not spectacular, run out, though which players will make the cut against City next week is anyone’s guess! So, who’s feeling confident about tonight? Are you thinking that a win might be too much to ask for? Or a draw, especially with an away goal or two, something to celebrate wildly? Perhaps a narrow defeat leaving all to play for in the second leg? Expectations in the classier side of North London are so low after our current run of form that it really is anybody’s guess as to the outcome. Which Arsenal side will turn up? As for Milan, well they were covered in yesterday’s post. Their current run of form has coincided with an easier run of fixtures so, perhaps, exaggerates how well they are actually playing. 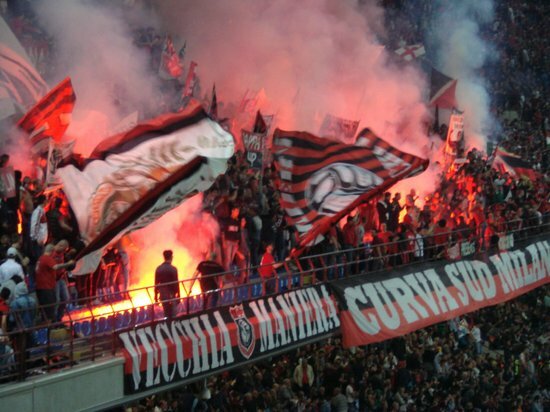 One thing’s for sure, the Milanese packing the Giuseppe Meazza stadium this evening will be confident and fiercely partisan. Without Bellerin and Monreal available, it is essential that Calum and The Beast play to the best of their abilities. Remember, we reached the CL Final in 2006 with a record-breaking back four of Flamini, Toure, Senderos and Eboue, so all things are possible. Up front Danny must make a real nuisance of himself – perhaps a goal in Milan will give him the boost in confidence he needs to burst out of his shell with fire and passion. Discipline both in midfield and defence is a must. The referee will have to be strong to resist being swayed by the crowd at every half tackle and dive. “I don’t know what to say really. Three minutes to the biggest battle of our professional season all comes down to today. Either we heal as a team or we are going to crumble. Heal inch by inch, play by play till we’re finished. We are in hell right now, gentlemen, believe me and we can stay here and get the sh*t kicked out of us or we can fight our way back into the light. We can climb out of hell. One inch, at a time. You know, when you get old in life, things get taken from you. That’s, that’s part of life. But, you only learn that when you start losing stuff. You find out that life is just a game of inches. So is football. Because in either game, life or football, the margin for error is so small. I mean one half step too late or too early you don’t quite make the tackle. One half second too slow or too fast and you don’t quite get a shot in. The inches we need are everywhere around us. They are in every break of the game every minute, every second. I’ll tell you this, in any fight it is the guy who is willing to die who is going to win that inch. And I know if I am going to have any life anymore it is because, I am still willing to fight, and die for that inch because that is what LIVING is. The six inches in front of your face. Now I can’t make you do it. You gotta look at the guy next to you. Look into his eyes. Now I think you are going to see a guy who will go that inch with you. You are going to see a guy who will sacrifice himself for this team because he knows when it comes down to it, you are gonna do the same thing for him. That’s a team, gentlemen and either we heal now, as a team, or we will die as individuals. That’s football guys. That’s all it is. Gabriel and Ox to start? How can our team beat the Northern Oilers and then get absolutely demolished by S’ton? It is so typical of the last 10 years. Unfathomable. If I had to pick a first 11 out of the 22 that took the field on Boxing Day 10 would be Gunners. Is this my AFC bias? I don’t think so – which is why such a defeat came as major shock. An unlucky one goal loss like WBA away one can understand but a 4 goal drubbing?? Mr Wenger will be looking to get us back on track today against a surprisingly in-form Bournemouth. Let there be no doubt, B’mouth can leave the Emirates with a good result. A 6 game unbeaten run including wins over Chelsea, WHU and MU are evidence of a team brimming with confidence but today I expect us to recover some pride. Wouldn’t it be great if the Ox could find some form? 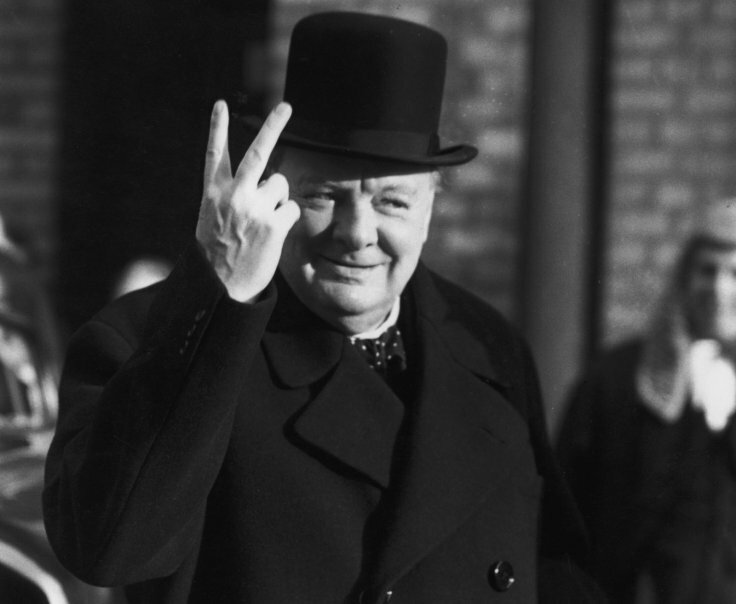 The man has unquestionable quality and is one of England’s great hopes but what has happened? Is it confidence, over-training, trying too hard – whatever it is he needs to get back to form or face a career as a squad player. I would like to see Gabriel start, he is going to be a top CB and needs pitch time to establish a partnership with Kos, though today I would like to see the Frenchman rested after a poor game against the cheating Long. Chambers in midfield? Surely not. Gibbs instead of Monreal? Unlikely. Ox to play instead of whom? If it is to be Giroud then Theo plays centrally. We are at home, Leicester have a tough game, we can be top going into 2017. It is my belief that we should be looking to retain the services of one Corporal Carl Jenkinson at THOF for the immediate future and I will state my case as to why. What would be the reasons to let him go? Firstly some would argue he is not good enough. Others would say that we are well covered in his position and that there is no place for him when we have Bellerin, Debuchy and Chambers who can all play there. Out of all our British players the corporal is still playing catch up. He doesn’t yet have the experience of being a regular senior international player and is arguably not yet able to put in performances at the highest level on a consistent basis, as you would expect from the likes of Jack, Ramsey, AOC, Gibbs. That doesn’t mean though that he will not reach this level and, as with many of our youngsters, it is too early to say whether he will cut it at the top level or not. There have been glimpses that he has that level of performance in him. His recent performances at U21 level have seen him looking like one of the best of the young England players participating. The one game though that above others sticks in my mind was his performance against Bayern Munich in our 2-0 away victory. I believe it was Robben and Muller that were changing flanks to have a go at our young rookie, but he managed to keep both of them quiet for more or less the whole game, which is no easy feat. If that kind of performance is in there and can be replicated consistently then we have a player. Bellerin is a fine player and would currently get the nod as first choice but I have 2 things in my mind where this is concerned. Firstly it might be nice to have the option of playing Bellerin as a speedy right winger at times with Jenks behind him. Secondly is the dreaded Barca DNA. I would say there is a good chance that we will lose Bellerin to Spain at some point in the future, and also while he is still in his prime, if not at his peak. If Jenks has developed into that consistent top level player the impact will be lessened, rather than facing the situation scrambling around trying to recruit a new top level player who may need to bed in. Debuchy? Well he is over 30 so has a limited period that he can provide us with top level cover in this role anyway. Debuchy’s ability to cover at CD and possibly even for Le Coq, (according to RC he played there for Lille which I found an interesting option), means for me that we can keep all 3 with Jenks easing into a more regular role as Debuchy fades / moves on. If Jenks is not as likely to get that playing time right now then I would suggest we get another loan season going while making sure we have him secured on a decent contract term. Chambers can also cover the role but my preference would be to develop him as a CD. As always over to you guys for your opinions.